Healthy Hollywood: With all the media attention that's been given to Sean Parker's proposed Screening Room venture that would put new movies in home theatres for $50 fees right when they open theatrically, you'd think the movie business was falling apart. Happily, that's not the case. Hollywood is looking very healthy these days. The movie business isn't in dire straights and it wouldn't make sense to adopt a disruptive solution designed to shift the distribution model from theatres to premium priced in-home viewing. That was clear from the very negative reaction to the idea at the recent CinemaCon convention in Las Vegas, an annual event where theatre owners from across the country attend elaborate presentations by distributors of their highest profile new films and meet – or, at least, get to see up close – lots of big movie stars. "We believe the exclusive theatrical release window drives the theatrical market and ancillary markets," John Fithian, president of the National Association of Theatre Owners (NATO), pointed out in his opening address to the convention. "The exclusive theatrical window makes movies into events and the success (in theatres) establishes brand value and bolsters value in downstream markets. NATO is dedicated to preserving the theatrical window as it constitutes the highest priority of our industry and our members intend to execute that plan." Clearly, without support from NATO's members, Hollywood's not going to do something that would almost certainly destroy a winning business relationship. How solid that relationship is right now is evident from the Motion Picture Association of America's (MPAA) recently released boxoffice statistics for 2015. Domestic boxoffice (U.S. and Canada) grosses totaled $11.1 billion last year, up 6.7 percent from 2014. Admissions totaled 1.32 billion, up 3.9 percent from 2014. The teen audience, which the media sometimes claims Hollywood is losing – or, even, has already lost -- to online competition like YouTube, represented a solid 16 percent of admissions. Moreover, teens paid to see more movies than any other demo – averaging 7.3 theatre visits for the year, up 14 percent from 2014. On the international boxoffice front, ticket sales were a hefty $27.2 billion, of which $6.8 billion came from China. The soaring Chinese market was up 49 percent vs. 2014. Boxoffice analysts expect China to surpass U.S. ticket sales by 2017. All told, the global theatrical boxoffice for 2015 totaled $38.3 billion, according to the MPAA, hardly an indication of any need to adopt the Screening Room's new distribution proposal. In news reports from CinemaCon, NATO's Fithian said he and MPAA president Christopher Dodd "promote partnerships, we don't decide business models." He also observed, "Whether the Screening Room model is acceptable is a question for Chris' members (the distributors), not my members (the exhibitors)." "My producer, Jon Landau, and I are committed to the theatre experience. Despite what the folks at the Screening Room say, I think movies need to be offered in the theatre on opening day. "There's an important point that needs to be made. There's always been a threat with moviegoing, whether that's been video, DVD or streaming." The answer, he explained, is great showmanship: "I want to give exhibition a shout-out for keeping the experience sacred – making the sound better, the chairs comfier – whatever it takes to get people in their cars to go across town." Not everyone is against the Screening Room model. Netflix chief creative officer Ted Sarandos applauded the idea in an investor conference call earlier this month. "We wouldn't mind having our films available on that product," he commented. "Our focus is on movie lovers and movie fans and trying to get the product that they want at reasonable prices." Netflix's distribution model for its own theatrical films has been to release them day and date to theatres and to digital streaming on Netflix. One of its highest profile releases came Feb. 26 with "Crouching Tiger, Hidden Dragon: Sword of Destiny," the sequel to the 2000 original that grossed $128.1 million domestically. Because of the sequel's day and date Netflix release, most theatres chose not to play it. It reportedly opened on only about a dozen IMAX screens. No domestic boxoffice data is available, but it's believed to have had a very modest gross. On the other hand, it's known that the picture did about $32 million in its first week in theatres in China, where Netflix's day and date problem didn't pose a problem. Netflix had a similar situation last year with its first original release, the war drama "Beasts of No Nation." After opening Oct. 16, 2015 to $51,003 at just 31 theatres, it went on to do $90,777 domestically. Its lack of theatrical exposure was cited by some awards analysts as a reason for it not receiving any Oscar nominations. Meanwhile, Hollywood is enjoying a very healthy 2016 at the boxoffice. Last weekend, according to comScore, all films in the marketplace grossed $126 million, up 29.3 percent from this time last year. The year to date, per comScore, has ticket sales of $3.45 billion, up 9.2 percent from $3.16 billion a year ago. Last weekend saw Walt Disney Pictures' "The Jungle Book" still leading the boxoffice pack. The PG rated live action adventure drama did $60.8 million in its second weekend, down just 41 percent, bringing its domestic cume to $191.5 million. Disney said Sunday morning that after just 10 days in release, "Jungle" is the year's fourth biggest grossing movie, adding that, "The weekend results place The Walt Disney Studios as #1 in domestic market share for 2016 to date." Internationally, Disney said, "Jungle" grossed an additional $96 million from 53 territories representing approximately 91 percent of the international marketplace: "Holds were extremely strong with an estimated overall international drop of just 32 percent. The film's estimated global cume to date is already $528 million. 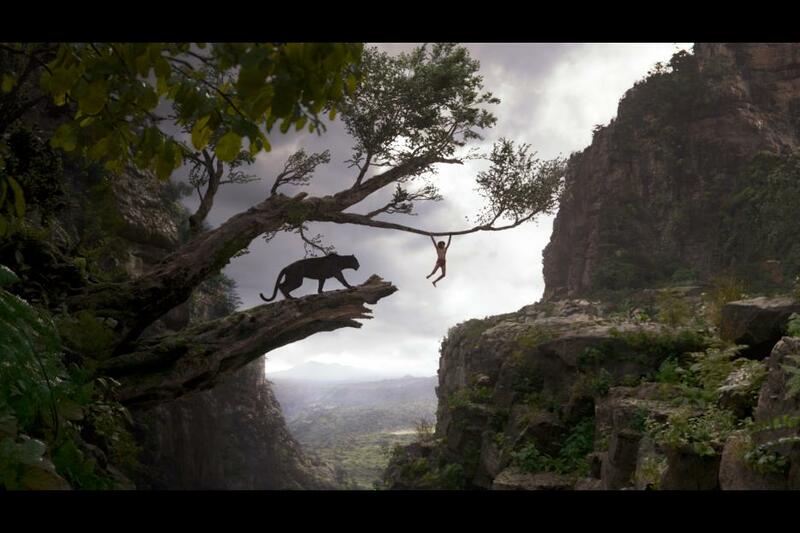 'The Jungle Book' is now the highest grossing Hollywood release in India and about to cross $100 million in China." Besides "Jungle," Disney has another huge family appeal hit in its PG rated animated action adventure "Zootopia." The studio said Sunday that, "With an estimated $316 million domestically and $591 million internationally, 'Zootopia' passed the $900 million mark at the global box office this weekend. "'Zootopia' is the second biggest Walt Disney Animation Studios' release of all time in its original release (after 'Frozen') and the third biggest overall (after 'Frozen' and 'The Lion King'). It also passed 'Ice Age: Dawn of the Dinosaurs' this weekend to become the #8 grossing animated release of all-time. "With 'Zootopia' at a global gross of $907 million and 'The Jungle Book' already at a global gross of $528 million, they represent the #1 and #4 highest grossing Hollywood global movies of 2016 to date." Also boosting Hollywood's 2016 boxoffice strength is 20th Century Fox and Marvel Entertainment's R rated action adventure "Deadpool" with $361.1 million domestically. It's done about $399 million internationally for a global cume of about $760 million. "Deadpool" leads the domestic boxoffice chart for the year, followed by Warner Bros. and DC Comics' PG-13 rated fantasy action adventure "Batman v Superman: Dawn of Justice" with $319.5 million; Disney's "Zootopia" with $316.4 million; and Disney's "Jungle" with $191.5 million. Bottom line: Hollywood's looking good at the boxoffice and summer is on the way. May 6 should see the pre-summer season get off to a powerful fast start with Disney and Marvel's PG-13 rated 3D sci-fi action adventure "Captain America: Civil War." 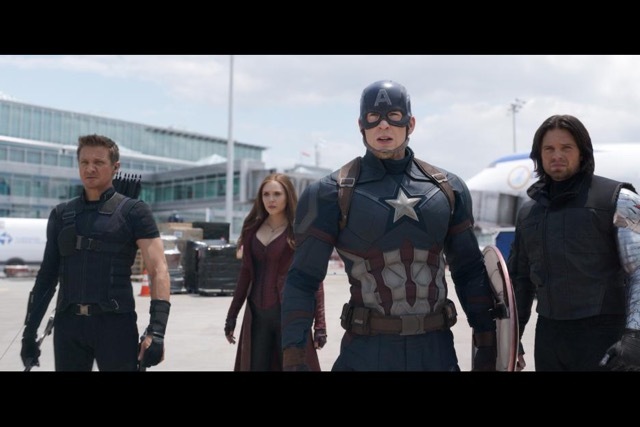 The franchise's first episode, "Captain America: The Winter Soldier," opened Apr. 4, 2014 to $95 million and did $259.8 million domestically.